Thousands of tourists come to Silverton each year to explore its historic resources and ride the Durango and Silverton Narrow Gauge Railroad, a National Historic Landmark. Silverton (population 531) was established in 1874 after a treaty with the Ute Indians opened it for prospecting. 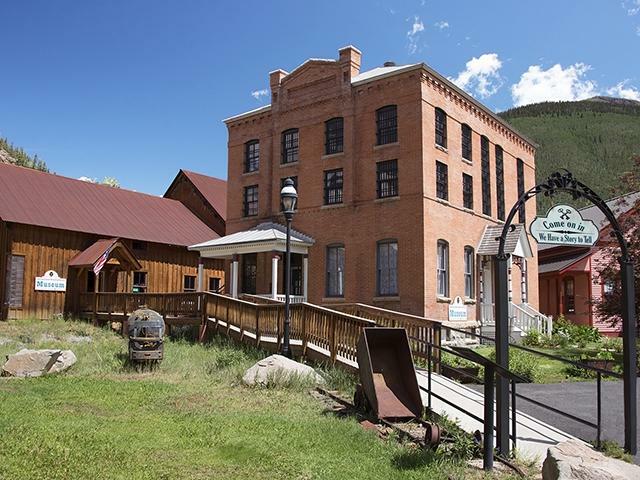 The rough frontier town initially served gold and silver miners, but it matured by the turn of the 20th century to include all the civic amenities of a thriving community. Mining in the area reached its peak between 1900 and 1912, followed by a series of booms and busts that ended with the closure of the last local mine in 1992. The town then lost much of its population and the majority of its year-round jobs. But Silverton’s scenic setting in the San Juan Mountains and its wealth of historic resources has made tourism a principal new economic generator. Silverton is such a uniquely preserved example of a mining town that it has been declared a National Historic Landmark. Thousands of tourists come each year to view its historic resources and ride the Durango and Silverton Narrow Gauge Railroad, also a National Historic Landmark. To encourage new development that is compatible with Silverton’s historic character, the town has developed a Builder’s Handbook that illustrates the community’s predominant architectural styles. Silverton is also undertaking a major redevelopment project at the 1906 Animas Light and Power Substation. Aided by funds from the Economic Development Administration and other sources, the historic building is being adapted for use as a business incubator. The project will not only preserve another of Silverton’s historic places, but will help to further diversify the community’s changing economy.